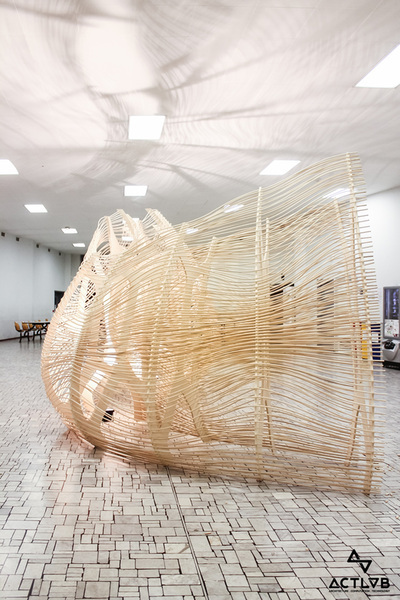 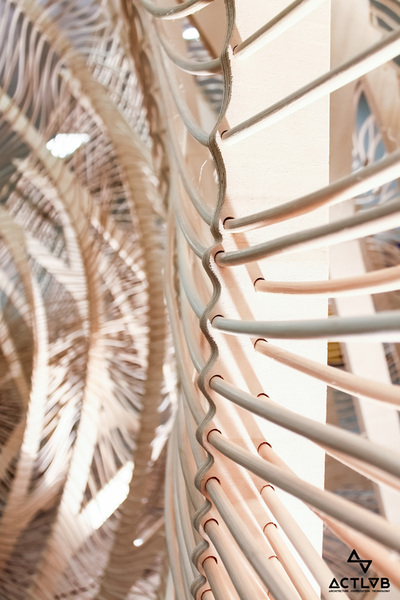 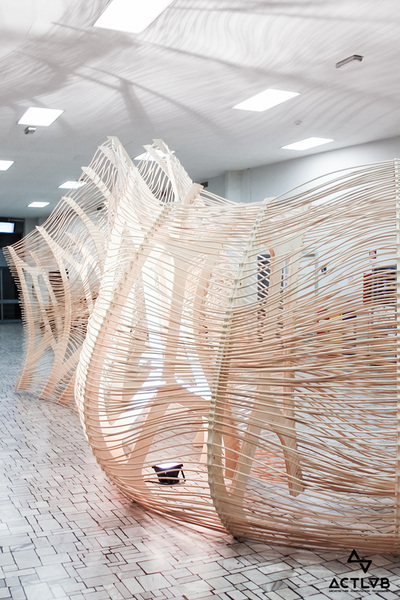 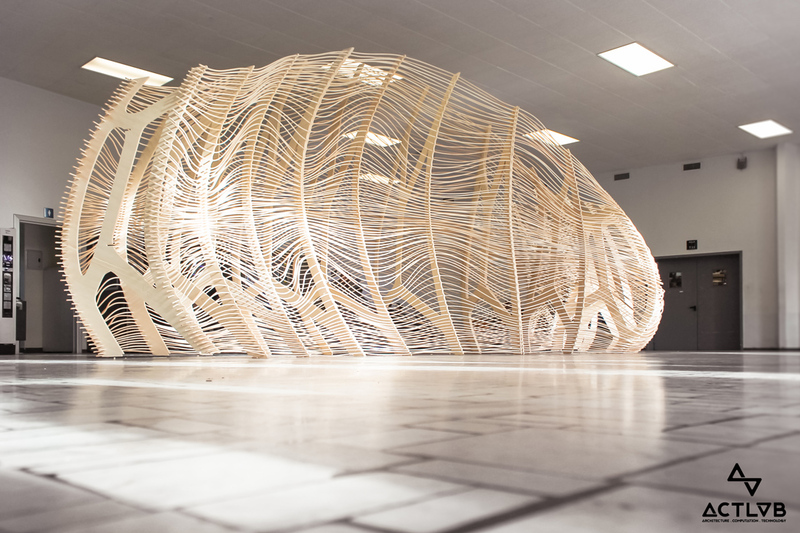 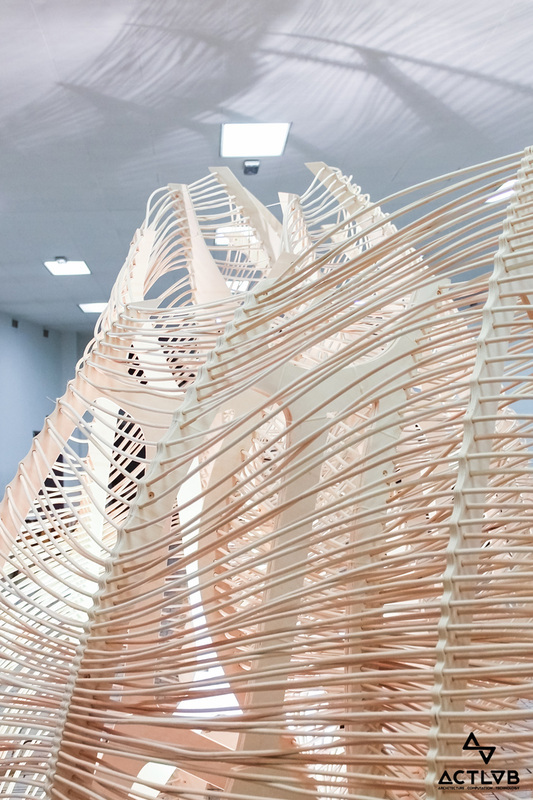 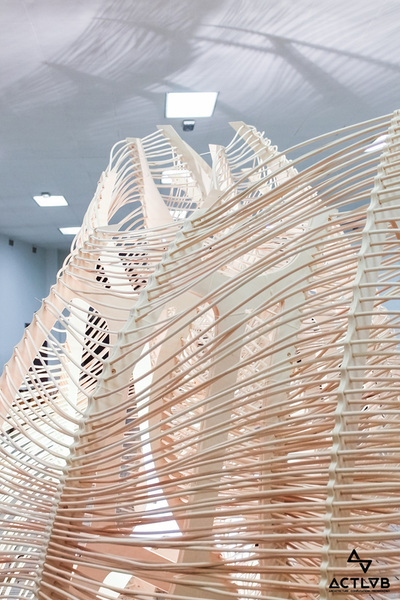 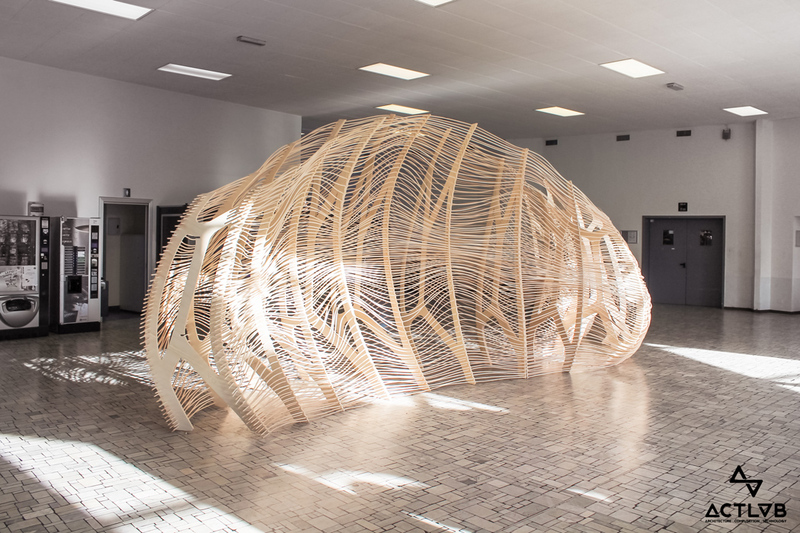 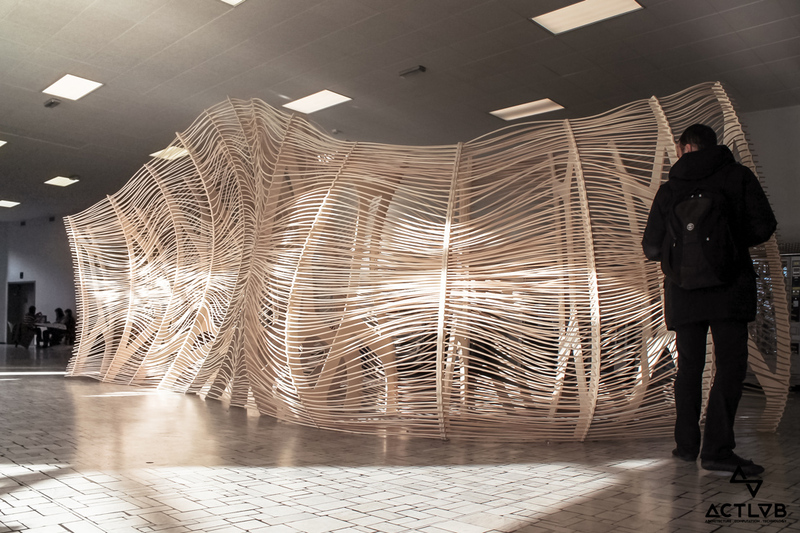 Weaving Enclosure is an experimental installation developed by ACTLAB in 2014 and a synthesis of a research on the emergent properties of weaving material system in architecture. 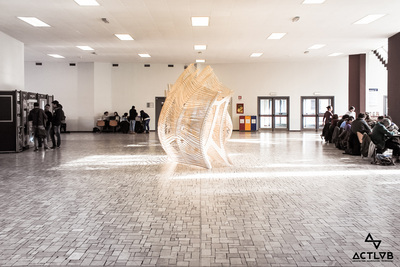 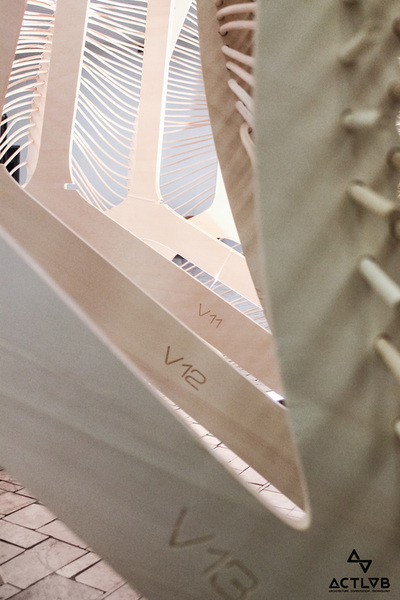 From the combination of advanced design techniques and digital crafting, the international workshop UnExpected MateReality 2014 investigated the potentialities of material driven design, in particular focusing on the close correspondence between material properties and assembly in the millenary culture of weaving. 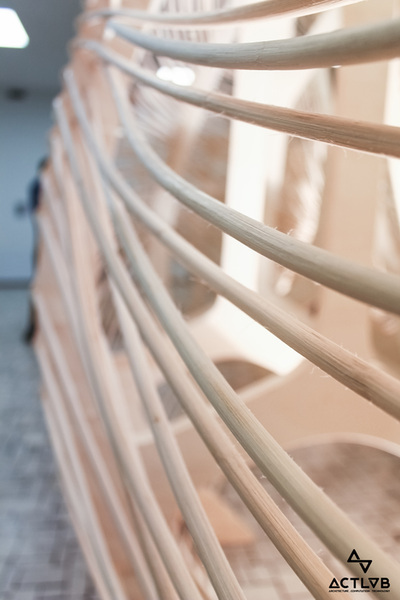 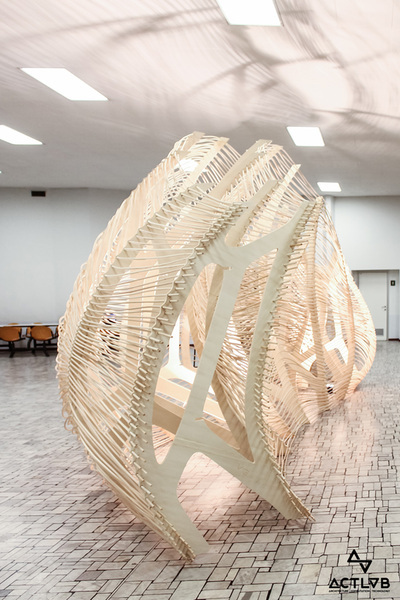 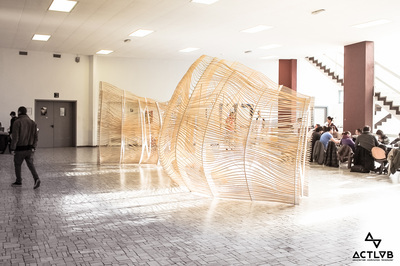 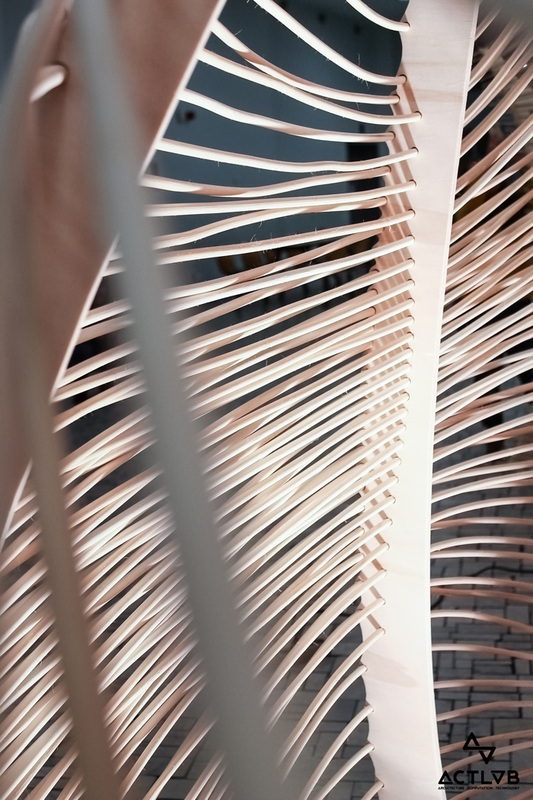 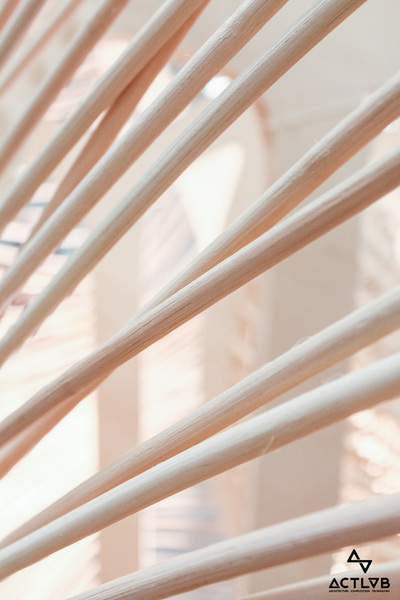 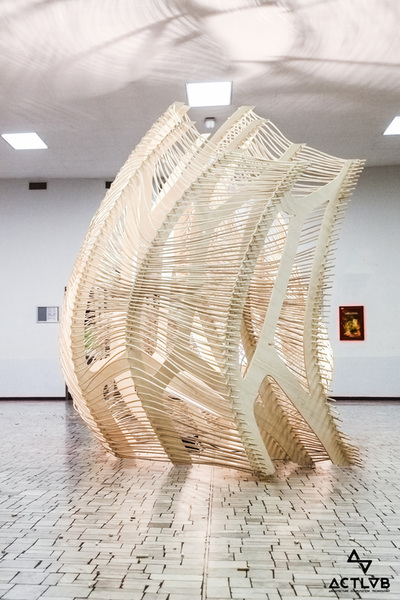 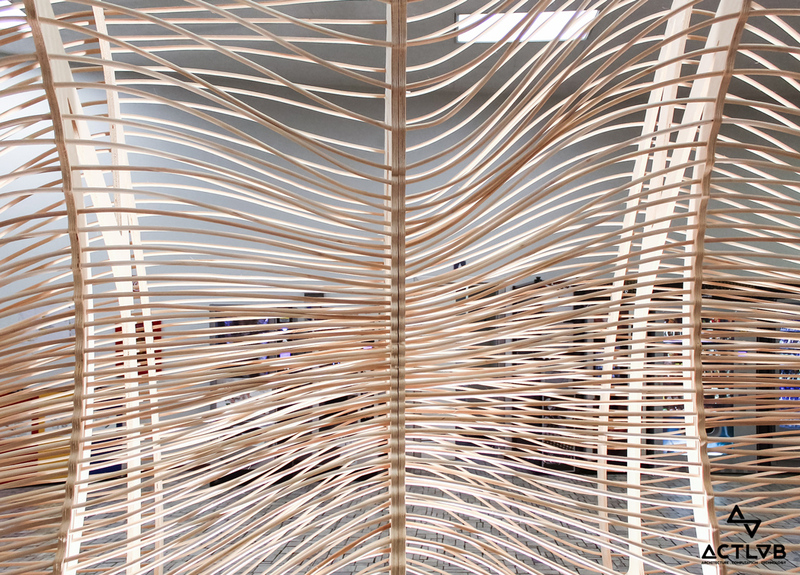 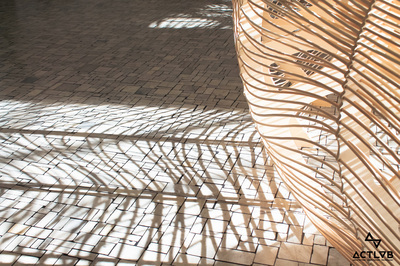 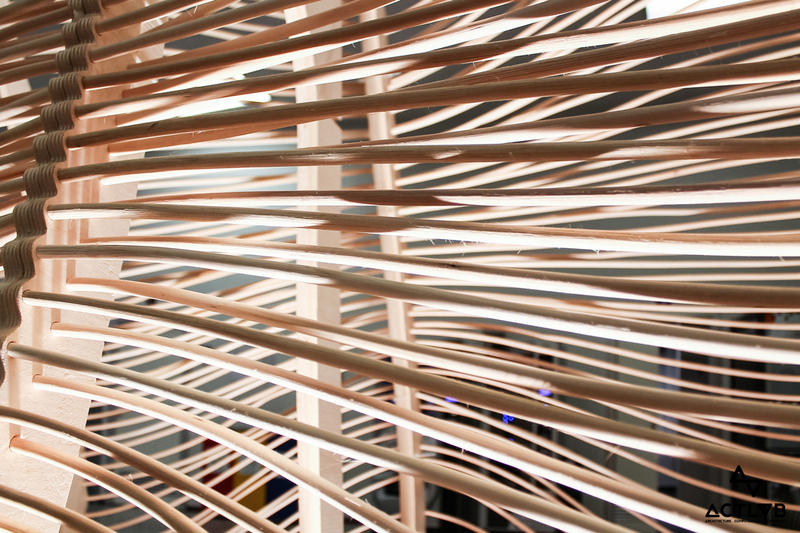 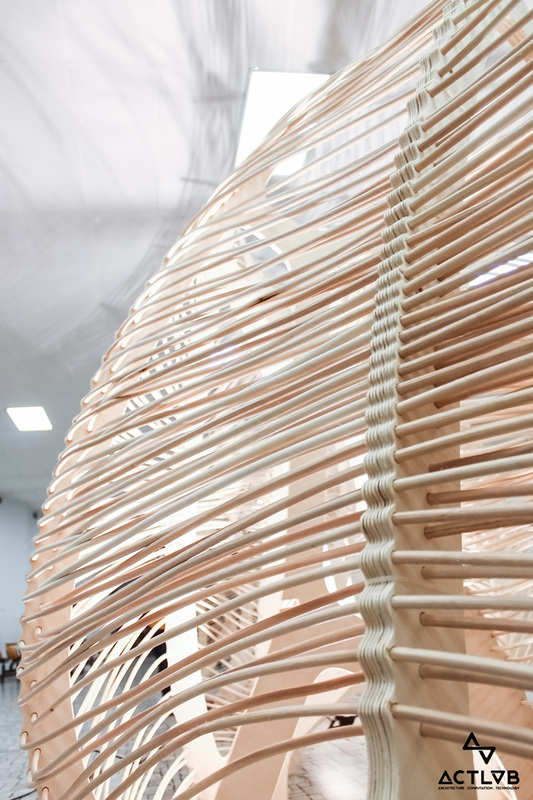 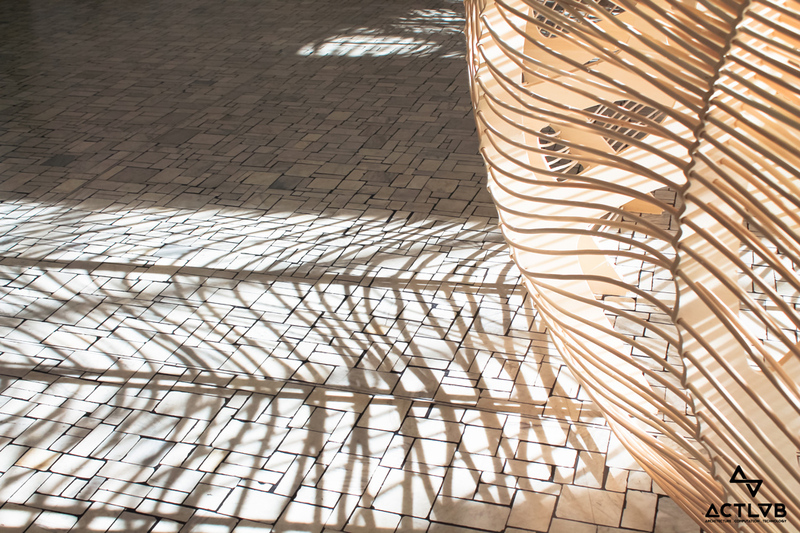 The final prototype is a full scale enclosure system with a self-standing structure based on the frictional interaction between vertical plywood warp elements, and a double set of rattan-based wefts. 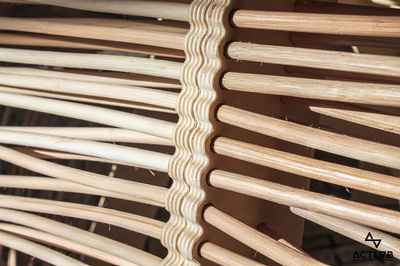 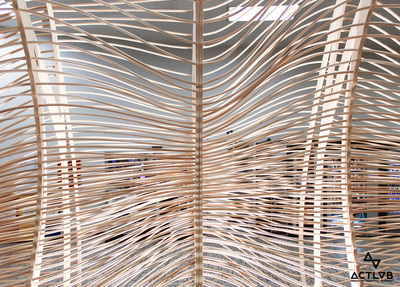 With the implementation of custom-based design algorithms the bending behavior of woven rattan strands has been computationally embedded and later tuned by extrinsic parameters to modulate the overall geometric features and the gradient of screening ratio. 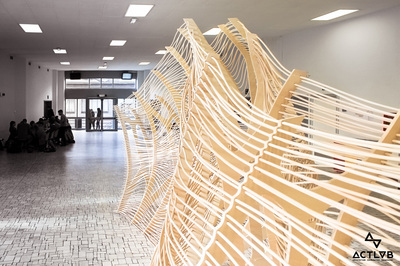 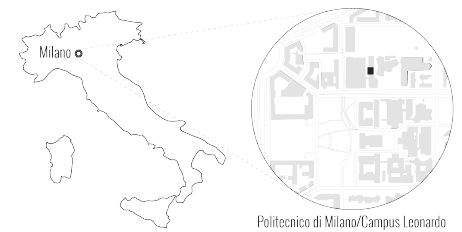 The final prototype is an 8-meter long by 3.3-meter high sinuous enclosure which partitions open spaces and create a variable field of visual permeability. The weaving system enhances the peculiarity of the antique technique towards the creation of a performative architectural system as emergent expression of tradition and innovation, combination of digital fabrication and handmade crafting.